If you are seeking a position and wish to search our postings, click here. This is a paid job posting site. Listings will not be posted without payment. If you are hiring, a 2-step process. 1) Pay for the Posting by clicking here. in the hiring organization is a member. If not, please pay the non-member rate. Your membership qualification will be verified. 2) Click here to begin the job listing. You'll be taken to our outside program and invited to create an account and enter the job description. Note: the sign-in credentials for the job posting section are NOT your AFP International account and password but completely separate. You'll see a button on top of the next page "Post a Job". Click on that and you'll be on your way. In 2-3 days, your job posting will appear on the site and an e-mail will be sent to our members to alert them to it. Problems? 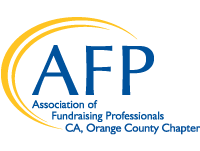 Send an email to office@afpoc.org - or call 949-436-2939. Thanks for using AFPOC to find great employees!